Straw bags for the Jane Birkin in all of us. Are you ready to do your best Jane Birkin impression all spring and summer? Straw bags are back and still the It Bag of the season. How do you wear it? Anyway you want. Maybe you’re going on vacation and have a linen shirtdress lined up in the closet. Throw the bag on with some slides and you’re on a roll. 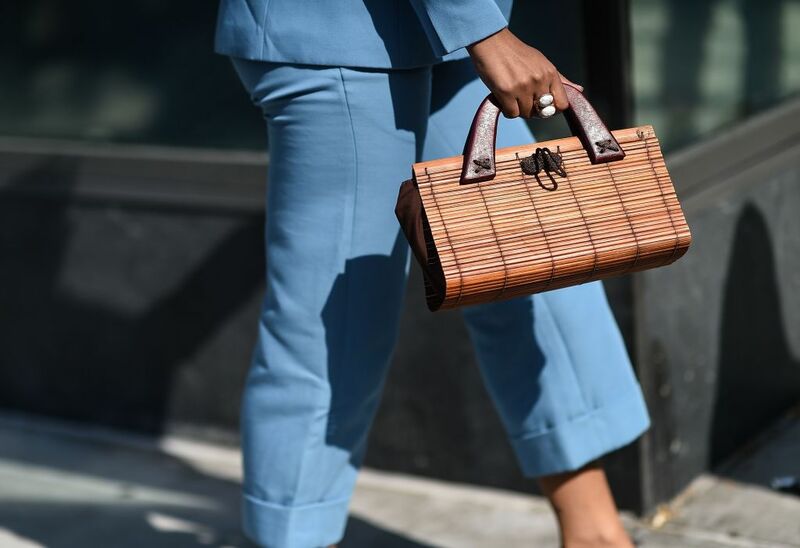 If you’re still in a polar vortex, there’s nothing stopping you from rocking a straw bag. Dress head to toe in a dark neutral, like a black or navy. If it were me, I would make it a great turtleneck and trouser combination and throw the straw bag in as the metaphorical cherry on top of my fashion sundae. There are straw bags for running to the Farmers Market, to the beach, to someone’s backyard pool for drinks. Yes, it may be freezing outside but at least this particular accessory makes me feel warm inside. Lucky for us, this trend is far from one size fit all. The variety of cute woven bags is enough to give me whiplash. I want to buy them all, but alas I can only choose one. Happy shopping!